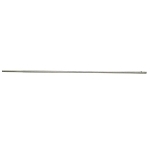 The original ambidextrous charging handle. 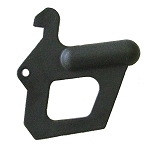 The only charging handle awarded the NTOA Gold Seal of Testing & Recommendation! 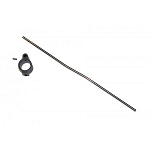 Endurance tested by Colt Defense to 10,000 rounds, with 0% failure and hardly a scratch to the coating. 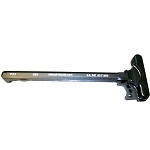 Listed on Colt’s exclusive Preferred Vendors List!The best, most reliable ambidextrous charging handle design on the market. 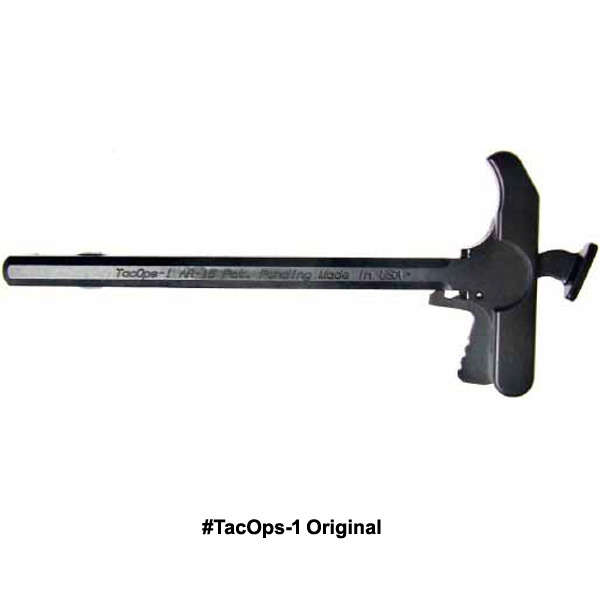 The MechArmor Defense Systems TacOps Charging Handle is the original ambidextrous charging handle. 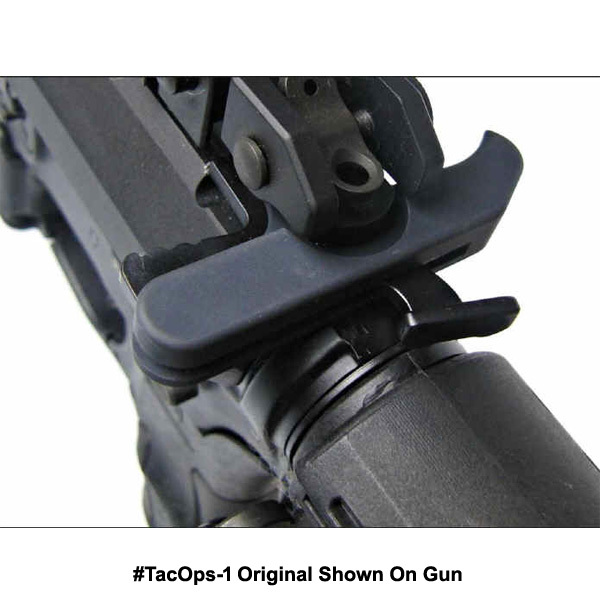 It’s the best, most reliable ambidextrous charging handle design on the market.TacOps Charging Handles provides better mechanical advantage for weapon reliability, ease of use, and easy access for charging your weapons…including use with optics and even gloved hands.TacOps Charging Handles are fully ambidextrous, and (unlike nearly all other after-thought designs and models) provide an ambidextrous design WITHOUT adding any additional moving parts, springs, pins, or cantilevers. 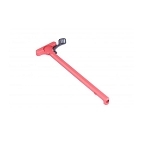 It also has a larger T-handle area for ease of use under all conditions. 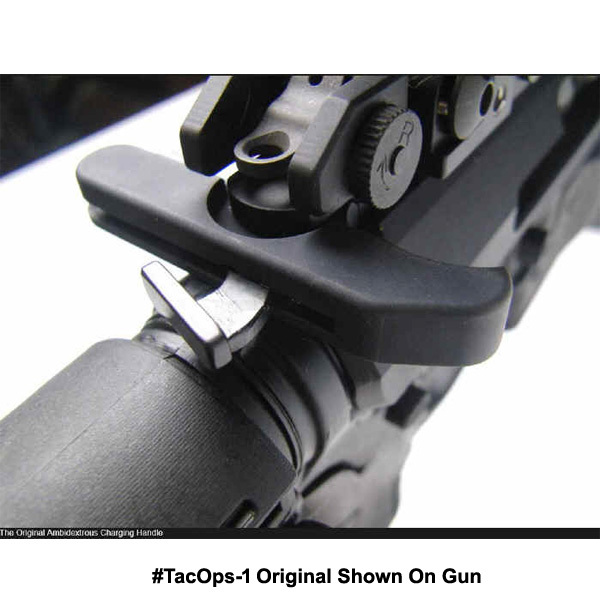 That is why the TacOps design is the best and most reliable on the market, making it “soldier-proof” and with attention-free function and reliability. 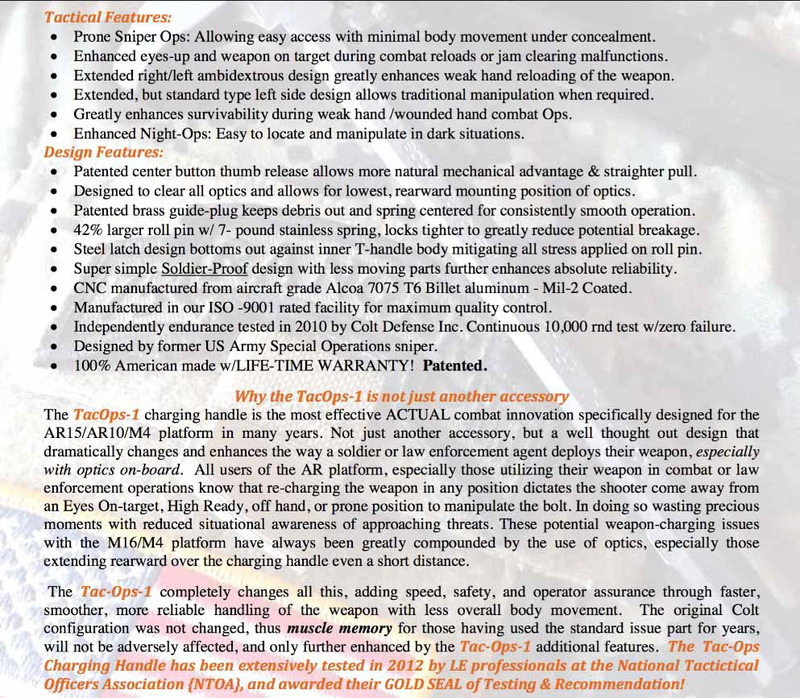 As proven by the U.S. Military Special Forces Operators and SWAT Teams nationwide using the TacOps-1 Original, and receiving the highest honor Gold Seal from the National Tactical Officers Association of America (NTOA), the TacOps-1 Original continues to be the most effective ambidextrous combat innovation specifically designed for the platform in many years. 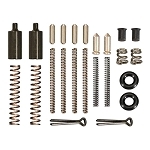 It’s not just another accessory, but a well thought out design that dramatically changes and enhances the way a soldier, Law Enforcement officer or sport shooter uses their weapon with or without with optics onboard.